Reef Conservation is an NGO that focus on the restoration of marine environment of Mauritius. Our coral reefs are getting damaged, it takes decades for Coral Reefs to form themselves. MYP attach a particular important to environmental causes so contribute in the safeguarding of the environment for the next generations. 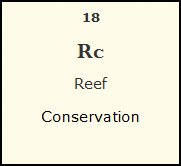 Reef conservation is not dedicated to only reefs but also to Marine in general. The NGO employs several professional qualified biologist to manage and implement projects in accordance to the mission and values of the Organisation. MYP will in the near future find common grounds with Reef Conservation to bring our contribution to the edifice that have been sustained over the years.